Today we are very happy to announce the winners of the Cape Town 2017 Challenge Giveaway contest. 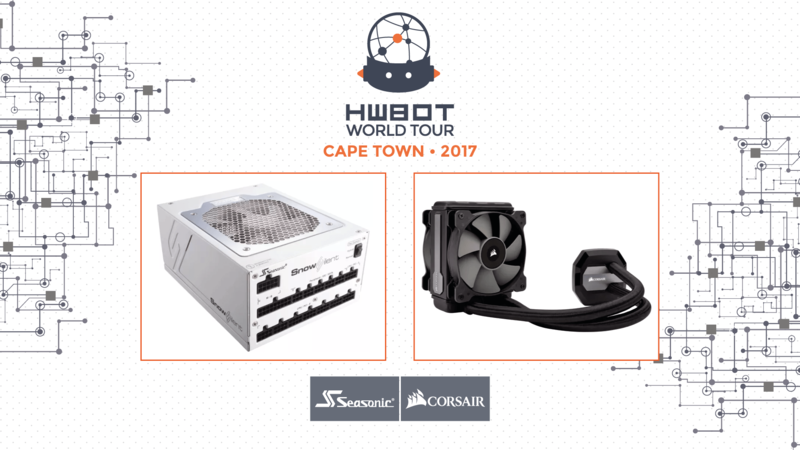 In celebration of the fifth HWBOT World Tour stop of the year in Cape Town, South Africa we teamed with partners Seasonic and Corsair to bring you a fantastic opportunity to win some great prizes. It all kicked off on July 21st, with HWBOT fans and social media followers asked to click the link below to enter the Cape Town 2017 Challenge. The contest was essentially a Giveaway where the more social media actions you completed, the better chance you had to win. Seasonic Snow Silent 750 PSU – The latest Seasonic Snow Silent 750 PSUs was used to power the Overclocking World Championship Qualifier contest as well as Overclocking Workshop systems that were setup at EGE. 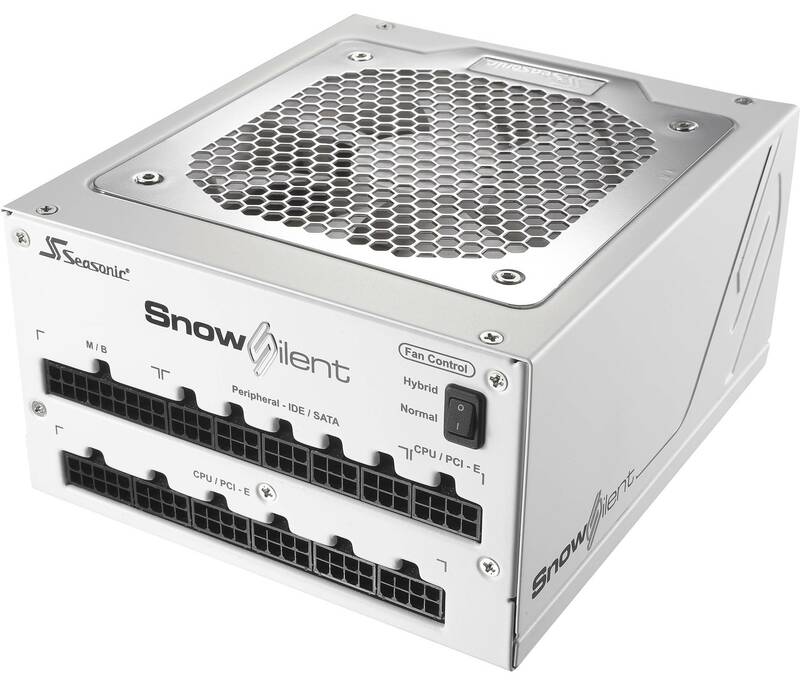 Seasonic Snow Silent 750 power supplies boast 80 Plus Platinum efficiency and a completely silent operation below 50 % system load. The proud winner of Snow Silent 750 PSUs is a social media follower known as Milis. Kudos to you! 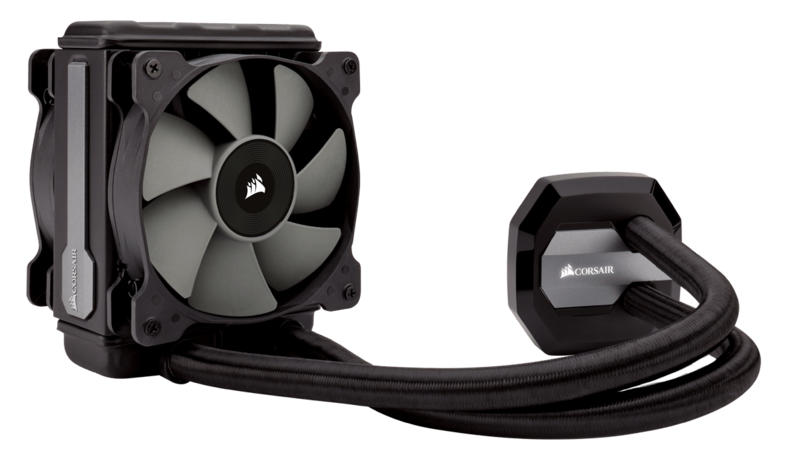 Corsair Hydro Series H80i v2 All-in-One Cooler – The Hydro Series H80i v2 is a high performance, all-in-one liquid CPU cooler that works with a standard 120mm radiator mount, offering great heat dissipation that helps overclockers and enthusiasts push the latest high-performance processors to the max. The winner of the Hydro Series H80i v2 is a social media follower known as Pauline L. Well done madam! Congrats to you all, and a special thanks to our sponsors Seasonic to Corsair for generously donating these prizes.